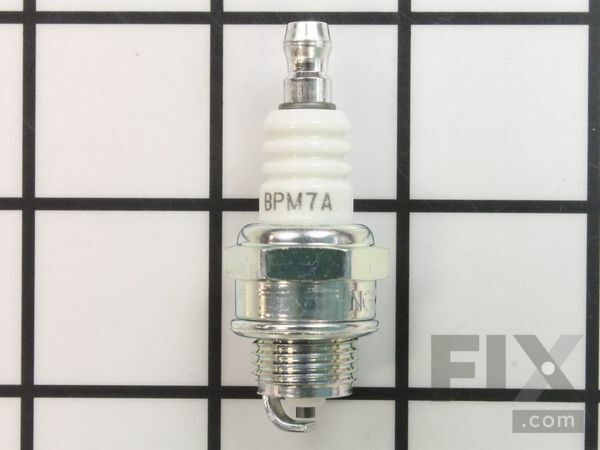 This is a spark plug for your lawn equipment. It ignites the mixture of air and fuel in the cylinder to power your engine. If your machine is running roughly, or not at all, the most common fix is to change the spark plug. If the tip of the plug is burnt or damaged (fouled) you will need to replace it. This part is BPM7A.This means the thread diameter is 14mm, thread reach is 9.5mm, seat type is flat, hex size is 19mm, tip configuration is projected, it is special design, and removeable. Trimmer, Chainsaw, Leaf Blower / Vacuum, Hedge Trimmer, Auger, Edger, Pole Saw, Water Pump.